As a member of our Force Protection staff you will help protect our personnel and equipment, from looking after the base to providing force protection against sabotage and terrorism. As a member of our Force Protection team, your specialised trade group contributes directly to preparing RNZAF personnel for operational duties, and protecting Air Force aviation assets, whilst both on the Military Air Base at home and deployed overseas. As Force Protection you will be employed within RNZAF Security Force Units. Protective Security activities and tasks will see you responsible for include identifying and mitigating threats to air operations, providing airbase protection (ground defence) and physical security at Air Force sites. The other part of your role is to prepare RNZAF personnel to ensure that they achieve and maintain their individual combat readiness to effectively support Defence Force operations. Your role is challenging and varied in that your tasks range from being an instructor to performing protective security patrols across all weather and environmental conditions. Some Force Protection personnel may also specialise as Military Working Dog Handlers, using this capability both at home and abroad. On the Military Air Base you’ll be responsible for a variety of force protection and protective security tasks. You will provide real time security of the RNZAFs aviation assets, conductprotective security patrols, and provide airbase protection (ground defence) and the physical security for aircraft, sites and personnel. You’ll also be part of a team that is trained and equipped to respond immediately to security incidents. 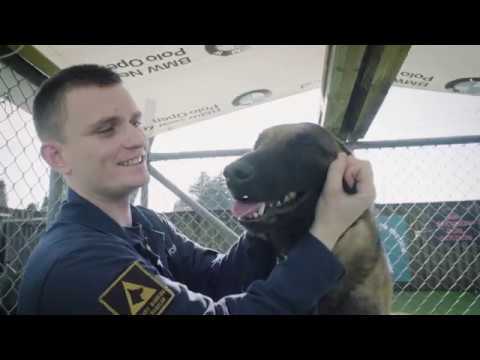 Selected personnel can go on to train as Military Working Dog handlers in the Military Working Dog units, providing a unique and important protective security function at Air Force sites. A large part of your role is instructing RNZAF personnel in individual combat readiness or core military skills. This includes weapons training and live firing, survival skills, and conducting pre-deployment and other military training required for success on operations. In addition, at some stage you will be involved with the general military training of recruits and Officers at RNZAF Base Woodbourne (near Blenheim) as they start their own careers in the RNZAF. Policing – recently the NZDF created a new centralised Military Police unit. Force Protection is currently the feeder trade from Air Force into this tri-service unit. Policing specialists provide advice on criminal matters and conduct investigations related to criminal offences, within the NZDF. They also provide a community policing function for the NZDF, its families and communities. Force Protection personnel maintain the centre of excellence for all drill and ceremonial requirements in the RNZAF. They provide advice and instruction to the wider Air Force on parades and ceremonial activities. During operational deployments your responsibilities will be to provide airbase protection (ground defence) and physical security for Air Force installations, aviation assets, aircraft and personnel, including incident response. All Force Protection personnel are able to deploy in this Airbase Protection (Ground Defence) role. Force Protection personnel will often work in a small team to achieve these tasks. Teamwork is essential for success. During some overseas deployments and exercises you will also work along side militaries from other nations. RNZAF aircraft travel domestically and internationally on a regular basis. This often requires Force Protection personnel to travel on board to protect the aircraft, passengers, crew and cargo in various environments. You can expect travel to many different countries around the world. We have a term in our trade; trust your dog. There’s always something to do. You might be doing a display for someone, or you might be doing night patrol, you might see me round the fence line helping secure the base. Upon successful enlistment into the Air Force you’ll be posted to RNZAF Base Woodbourne (near Blenheim). Upon successful completion of basic military training, you'll attend primary trade training. This course covers protective security for RNZAF aircraft, equipment and personnel, aircraft security operations and Military Air Base protective security. You'll learn about security governance, security risk management, how to construct static defences, camouflage and concealment techniques, survival techniques, bush craft, navigation and first aid. These skills will all be consolidated during your field exercise whilst on course. You will be trained in the correct use of all the RNZAF in-service weapons, critical incident management techniques, pyrotechnic handling and basic incident response procedures. Once you graduate from the Force Protection Operators Course you will be posted to an RNZAF Base to consolidate your skills and gain on-the-job experience. This will be for a minimum of 18 months during which time you'll complete 4WD driver training, class two licence training and RNZAF instructor training. It is likely you will also get the opportunity to deploy on an exercise or an aircraft security operation either nationally or internationally. After your on-the-job experience you'll then complete an advanced course, including weapons and drill instruction, shooting coaching, more advanced Aircraft Security operations training and Force Protection team leader training, which will qualify you as a Force Protection Specialist. This then allows you to progress your skills in a number of areas, such as attending Chemical, Biological, Radiological and Nuclear Defence operator course, Specialist security courses, and Purpose built Range Conducting Officer course. You will undertake regular continuation training to enhance and improve personal development and trade knowledge. Throughout your career, further professional trade development and training is offered based on your interests. Hold a Restricted Class 1 Drivers License. A minimum of 10 NCEA Level 1 credits in Literacy and Numeracy. Find out more about the NCEA levels and certificate requirements.